He is one of the most powerful men in world football. We met at the offices of a very prominent European Football Association. He was there with a colleague. The other European football official came back into the room and neither of us said anything more about his “friends” from Naples. The incident came to mind as I read news of the alleged fixed in Spain featuring Eldense who lost 12-0 to the Barcelona B team. Now there are reports that at least four other of their matches may have been fixed this year against Atletico Baleares, Villarreal B, Cornella and Gava. The connection is that these alleged fixes were purportedly masterminded by people close to the N’drangheta – the mafia who are based in Calabria south of Naples. Fixing occurs regularly in Spanish football and the league there has, like most European leagues, taken very little effective action to stop the corruption. The Italians and Asian mobs did eventually get together. They successfully fixed dozens of games in Italy. The police did a fantastic investigation. The man who made the connection between the Asian gambling fixers and the local Italian mafia – Dan Tan – is shut away in a Singaporean prison. He still has not been put on trial in a country where all his evidence could be gathered and international football could be properly cleaned up. Here is what European football officials should be doing. 1) Italian and Spanish leagues are so full of match-fixing that the end of the season games are joke. It is the same in many other European leagues. The easiest way of stopping this nonsense is just move to a play-off system. The play-off system works this way: about two months before the end of the season the bottom six teams only play each other. These are winner takes all games. This system stops the lucrative ‘sistema’ where teams buy and sell points at the end of the season to save themselves from relegation or to win the championship. The owners, managers and coaches of the teams come in to the dressing rooms and order their players to either win or lose at their command. 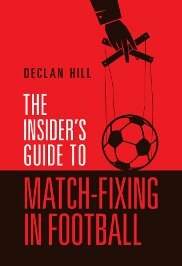 The best example of this type of match-fixing was shown in Joe McGinniss’s superb book ‘The Miracle of Castel di Sangro’. 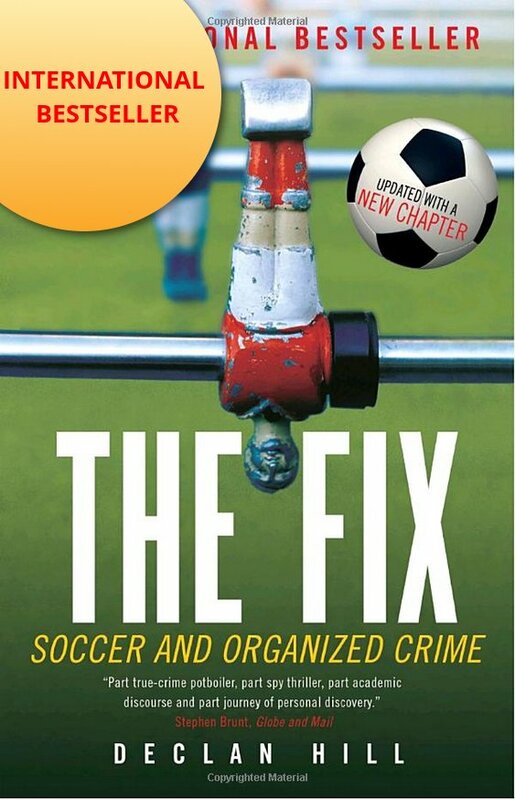 This type of fixing – arrangements – is an open-door to gambling match-fixing. After all, if a player is being ordered to lose a game they may as well make some money by betting against themselves. 2) Make reporting on match-fixing easy. It is still more difficult to be an honest player in the Spanish or Italian leagues than it is to be corrupt. The Spanish league needs a whistle-blower hotline run by an independent agency where an honest player can report safely and anonymously any corruption. 3) When the leagues catch people fixing punish them severely. The rewards for being corrupt are so great and the punishment for being caught is so low that there is little incentive for a player to be honest. Antonio Conte, the current Chelsea manager, once found out that his players were fixing matches. He did not tell anyone so the fixing continued. It is not clear why he did not do anything – Fear? Money? Laziness? – however, when it was found out Conte received a slap on the wrist suspension of a few months. Now, he is the one of the most praised managers in international football. What kind of lesson does it give players thinking about being honest when this is the usual behaviour. After incidents like the Eldense 12-0 loss, there is lots of talk, lots of cliches, lots of motherhood statements about the need for integrity in international football. There are interminable ‘education courses’, usually run by the befuddled or compromised, that do little except teach the players lessons in hypocrisy. However, few leagues do what I recommend above. So why has no serious action been taken? Well one indication is that man who threatened me with his mob connections is still very, very prominent in international football.